There’s a lot you can get out of Google+ as a social network, but if there’s one place it really excels, it’s on your mobile. Available for both Android and iOS users, the Google+ app is a slick offering that gives you access to all the main features of the social network. You can post links, images, and text updates, as well as share your location. You can also access Google+ Communities Join These Today: 10 Of The Most Interesting Communities on Google+ Join These Today: 10 Of The Most Interesting Communities on Google+ To help you get started with Google+ Communities, I've decided to compile ten of the most intriguing or interesting Communities out there. These are ones that have at least over 10,000 users, and receive frequent... Read More and Google+ Events. In addition to the traditional use of the social network itself, you can get creative with how you interact with Google+ on the go. Whether its to automatically back up and transfer your photos, host virtual tours, or create your own private group messaging system, there’s quite a bit you can get done with your iPhone or Android phone using Google+. The first time you log into the Google+ app, one of the first questions it will ask is if you want to turn auto-backup on. This feature allows you to automatically save all of your mobile photos to the cloud in your Google+ account. You have complete control over the upload time and destination. You can set it to upload only when you’re connected to a WiFI connection so you don’t use up all your data on photo uploads, and you can upload them to a private album on Google+. From there you can simply choose to keep them saved in the cloud. Another step you can take, if you want, is to back them up to your computer. This method also allows for a completely wireless transfer of your photos from your phone to your computer. An update to the Google+ mobile app gives Android users free backups of full-sized photos for up to 5GB (counting against your Google Drive storage quota) in addition to the unlimited storage offered for standard sized photos (2048 pixels or below). If you have Auto Backup enabled, photos will be saved at full size. To find out more about how to enable Auto Backup and what it means for your storage capacity, check out Google’s help page on the topic. We’ve already taken an in-depth look at how creative you can get with Google+ Hangouts, Get More Out Of Google+ Hangouts With These 5 Creative Ideas Get More Out Of Google+ Hangouts With These 5 Creative Ideas Google+ Hangouts are a pretty cool tool - one which we've put to good use here at MakeUseOf. Whether it's to hold editorial meetings or to host our own Podcast, Technophilia, we're big fans of... Read More and with the dedicated Google+ Hangouts app, you can take all of these concepts, and more, with you on the go. A really great use for Google Hangouts on the go is for virtual tours. For businesses in particular, this can be a very handy way to give your customers a behind-the-scenes look at your offices, your events, and more. You can also host live podcasts from any location, making it possible to do street interviews and more. 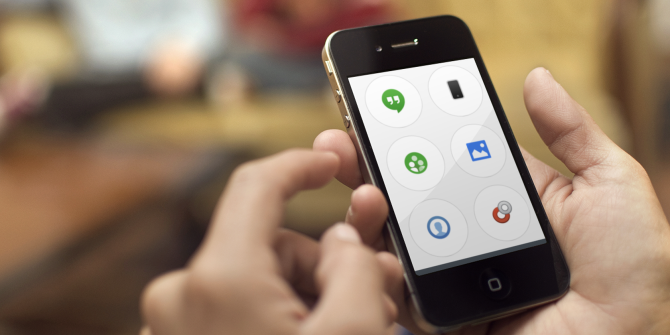 Hangouts can be initiated from your phone with an individual contact or with an entire Google+ circle. The catch here, however, is that you can’t start a hangout with the public directly from your phone. 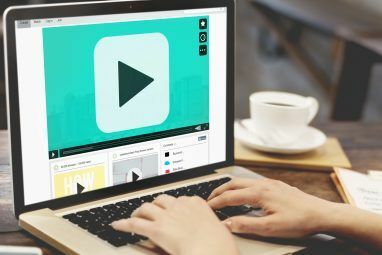 To create a public Hangout on Air, you’ll have to go to the Google Hangouts on Air page, and connect your YouTube and Google+ accounts. Once you’ve done that, you can create a Google Hangout on Air. Launching the Google Hangouts app, you can join your own Hangout from your phone and control it on the go. If you’ve been thinking of starting your own Project 365 Become A Better Photographer with Online 365 Days Groups Become A Better Photographer with Online 365 Days Groups Read More — taking one photo a day — why not do it with your phone? You can accomplish this with the Google+ app from start to finish. You can take the photos, share them in a Project 365 album, and even add a filter to them on the go using the app. Of course, there’s nothing to stop you from using whichever photo editing apps you prefer for this. The Google+ app has nine main filters and eleven frames, but each filter or frame comes with additional options within it. Just tap the same filter/frame again to see the different variations. You can use the Google+ app as a group mobile messenger. If all of your friends are on Google+ anyway, it becomes a great way to share information, links, photos, and more. All you have to do is make sure you’re all part of the same identical circle. Then you can share information, ideas and thoughts privately. This is a great cross-platform way to chat and share with your friends on the go. 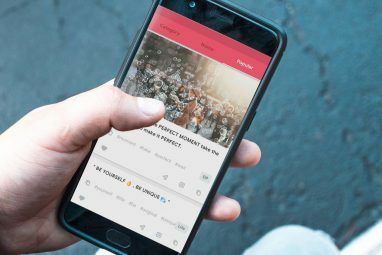 The mobile app is available for iOS and Android, and better yet, because it’s web-based, you can take the messaging capability beyond your phone. Just make sure to select the circle of your choice, so you don’t inadvertently share the message with the public. Whether its with your friends or colleagues, you can use the Google+ app and its Hangouts feature for conducting conference calls, with the added plus of video capabilities. If you’re on a business trip and need to conference in to your office, you can use the mobile app while your colleagues can use either the mobile app or simply access Google Hangouts from their computers. If you’re just getting started with Google+, be sure to check out our in-depth guide to Google+. If you’re still not sure why you should use it, find out how it compares to Facebook The Final Showdown: Google+ vs. Facebook, Which One Is REALLY The Best? 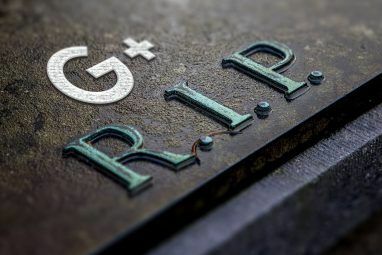 The Final Showdown: Google+ vs. Facebook, Which One Is REALLY The Best? Which is better, Facebook or Google+? Even here at MakeUseOf, we can't quite agree. When it comes to social networks, especially big ones like Facebook and Google+, we all have our opinions. Some think Facebook... Read More in every aspect. Can you think of any other way you can get more out of Google+ on the go? Let us know in the comments. Explore more about: Google Hangouts, Google Plus, Photo Sharing.